L-R: Debbie Antonelli, Special Olympic medalist Frankie Antonelli, Dr. Lou Papa, Dr. Peter Salgo, and Dr. Tiffany Pulcino. Special Olympic Medalist Frankie Antonelli and his mom join Second Opinion medical panelists to discuss what it's like living with Down symdrome. 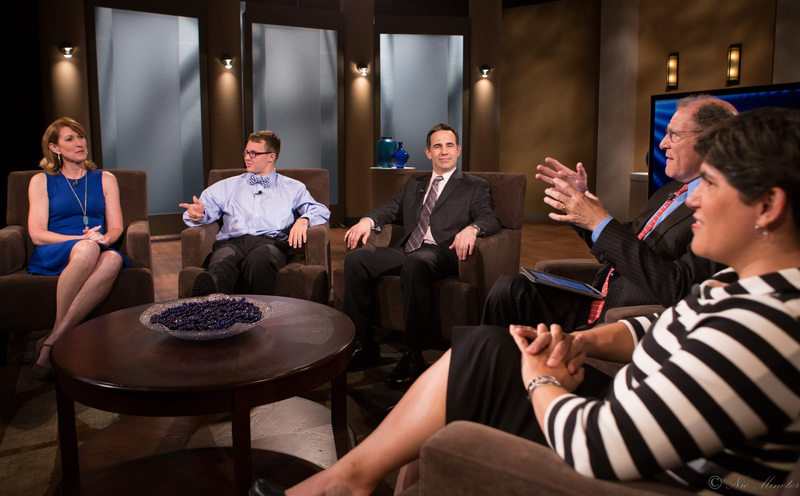 Frankie Antonelli, an extraordinary teen who has Down syndrome, and his mother Debbie share how Frankie is reaching his full potential on Second Opinion: Down Syndrome, airing Thursday, January 17, 2019 at 8:30 p.m. on WXXI-TV. Every week Second Opinion, the national health series produced by WXXI, the University of Rochester Medical Center (URMC), and West 175 Productions, engages a panel of medical professionals and patients in honest, in-depth discussions about life-changing medical decisions. This presentation of Second Opinion is part of Dialogue on Disability, a partnership between WXXI and Al Sigl Community of Agencies designed to stimulate community dialogue about the perspectives and abilities of people with physical and intellectual disabilities. It is part of a year-long initiative called MOVE TO INCLUDE, a project funded by the Golisano Foundation to build a more inclusive community by inspiring and motivating people to embrace different abilities and include all people in every aspect of community life. Life expectancy for people with Down syndrome has increased over the last 30 years – from 25 years old in 1983 to 60 years old today. While Down syndrome carries certain health issues and risks, people with Down syndrome and their families are moving beyond the limitations of this disability. On this episode of Second Opinion, Frankie, a Special Olympic medalist, and his mom share their philosophy on living with this genetic disorder and how they choose not to be defined by Frankie’s Down syndrome. Frankie and Debbie are joined by Louis J. Papa, MD, Primary Care Physician, Olsan Medical Group and Tiffany Pulcino, MD, MPH, FACP, Assistant Professor of Internal Medicine & Pediatrics, URMC, who explain what Down syndrome is, the different types, and the cause. 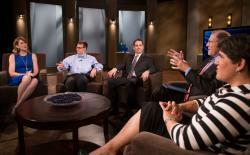 They also discuss how individuals transition from pediatric care to adult care. This episode also includes a Second Opinion 5 segment with Mike Stapleton, FACH, President & CEO at Thompson Health, who is the father of a daughter with Down syndrome. Stapleton shares “Five Things to Know When Raising a Child with Down Syndrome”. Second Opinion 5 segments feature a health care provider, who shares the top five things people need to know about a medical issue. Second Opinion’s Myth or Medicine segment, where viewers can send in a health claim and Second Opinion’s doctors share whether it’s a medical myth or good medicine, features Stephen Sulkes, MD, Professor, Department of Pediatrics, Neurodevelopmental & Behavioral Pediatrics, URMC, who debunks the myth that only older woman are at risk for having a baby with Down syndrome. Second Opinion is made possible with support from the Blue Cross and Blue Shield Association (BCBSA). It airs Thursdays at 8:30 p.m., Saturdays at 3 p.m., and Sundays at 12:30 p.m. on WXXI-TV, Thursdays at 7:30 a.m. and 1:30 p.m. on WXXI-WORLD (DT21.2), and on more than 250 PBS stations across the country. To learn more, visit: secondopinion-tv.org. Move to Include is an initiative that uses television, radio, news and digital content to attract audiences and build a more inclusive community by inspiring and motivating people to embrace different abilities and include all people in every aspect of community life. To learn more about this initiative, visit: MovetoInclude.org.